She has beautifully soft cream fur, a cute pink nose and a floral design on the insides of her ears and soles of her feet. 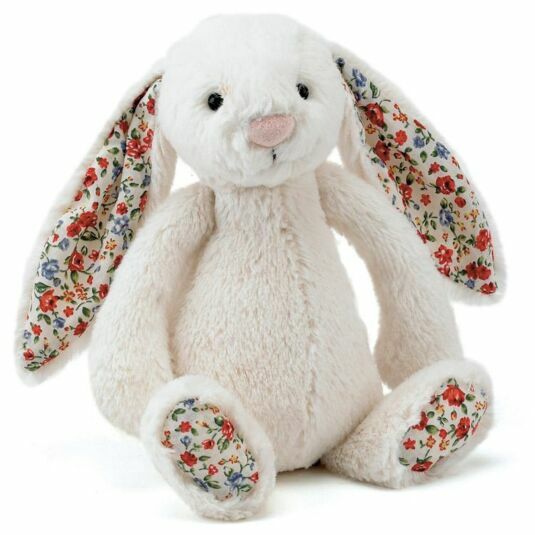 This Bashful little rabbit also has beans at the bottom, meaning she can sit up on her own and keep you company. Impossible to resist!